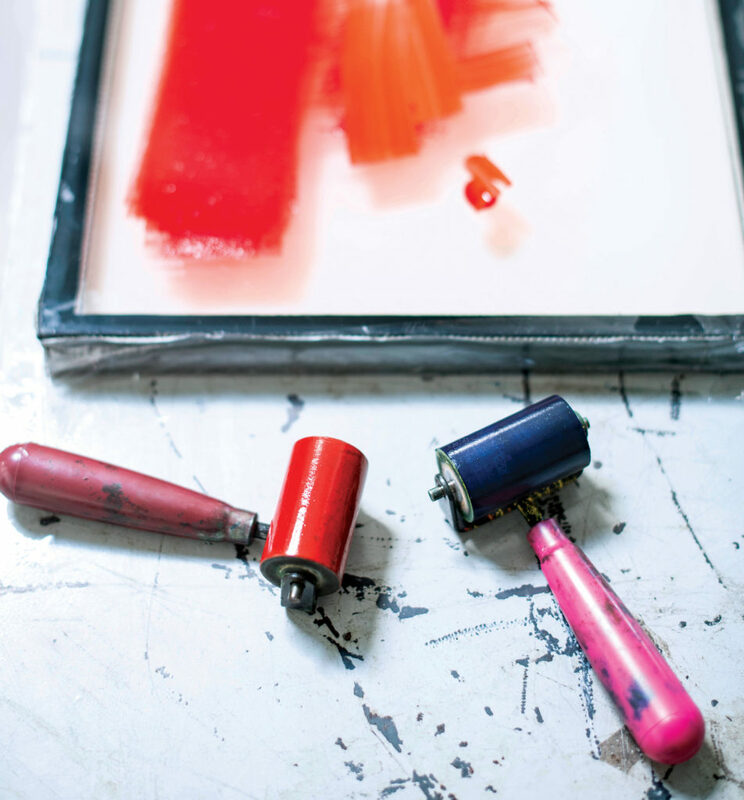 A trio of Durham printers finds satisfaction in the original methods of a 500-year-old craft. 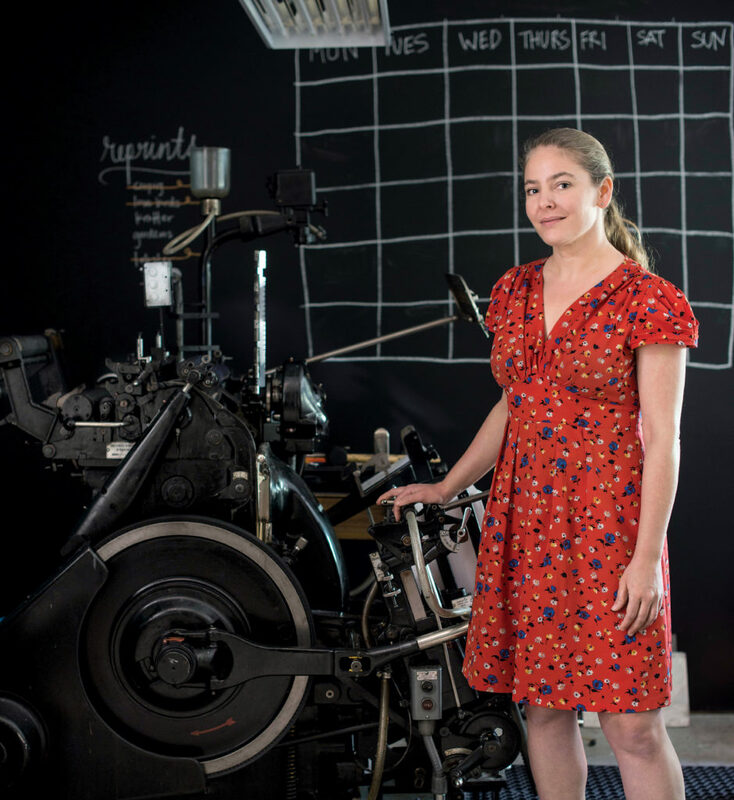 When Sarah Almond moved to Durham, she wanted a house with a garage — not for a car, but for her 3,000-pound letterpress. When she finally found a cute brick house not far from downtown with a detached shed garage, Shed Letterpress found a new home, that coincidentally fit its name. On any given day (or late into the night), you’ll find Almond in the revamped building, folding greeting cards she designs and prints herself, or consulting with couples on wedding invitations. It’s a calm and cozy space that smells like paint and paper — but the studio really comes alive when the press, a Heidelberg Windmill, is in action. Despite its heft, the letterpress moves quickly. The arms cycle through a stack of paper, and it’s easy to see why the machine is named the Windmill as it picks up a sheet, presses it against the chase, where the paper is inked with the desired text and design, and is placed on a stack of finished products, by which time the letterpress is nearly finished with the next sheet. As it churns, the machine sounds like an enormous beating heart, its rhythmic clanging and whooshing somehow soothing as the sounds fill the room. The letterpress can print up to 800 sheets an hour, each one varying slightly depending on the ink, temperature, grain of the paper, and other tiny adjustments Almond makes. Almond is one of a handful of printers in Durham who does letterpress printing, which began with Johannes Gutenberg and his invention of mechanical movable type in the mid-15th century. The process revolutionized the written word — individual characters could be cast in a metal alloy that could then be arranged into words, inked, and imprinted onto paper. Then, the letterpress made printing faster. 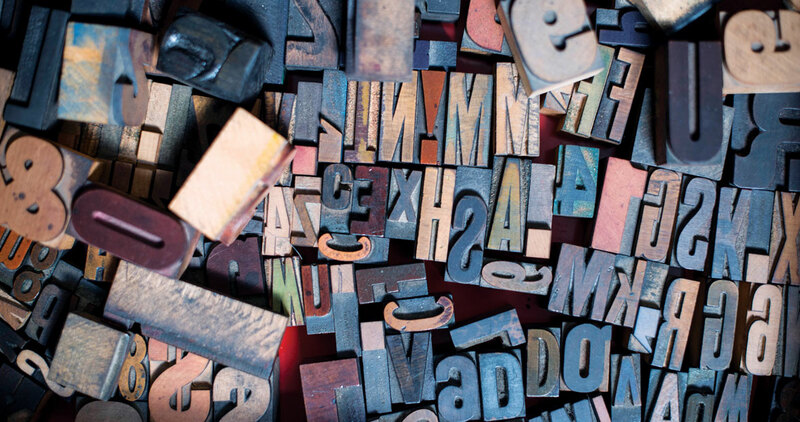 Now, a letterpress slows the printing down, and that’s part of the appeal. The work becomes a physical experience; the type leaves a tangible impression on the paper. The letterpress may be a Renaissance-era technology, but its age hasn’t stopped it from experiencing, well, a renaissance. Partly due to a renewed interest in the handmade, the slowly created, and the carefully designed, letterpress work is lately in high demand at stores, craft fairs, and on the announcement market: weddings, babies, graduations. An interest in learning the craft of printing is burgeoning, too. Allen, however, takes pride in the old-school methods. His studio contains cabinets upon cabinets of movable type, and the star is a large, iron, Albion handpress built in the 1850s. Compared to Almond’s press, it’s nearly silent. Relying on a manual lever and a system of pulleys, it’s a slow and thoughtful machine. Allen made his way in the world through words: first as a calligrapher, then in the production of typefaces for IBM and Monotype Imaging. Intimately understanding the most basic components of communication — words, letters — is important to him. So is honoring the past and staying true to a 500-year-old craft. Welcome to the 19th Century — Mind the Gap reads a sign taped to his door. Dave Wofford opened Horse & Buggy Press in Raleigh in 1996 before moving to downtown Durham in 2003. He, Allen, and Almond see each other as friends rather than competitors, calling on each other now and then for advice, or to borrow ink or paper. Each can focus on an even more distinct specialty. 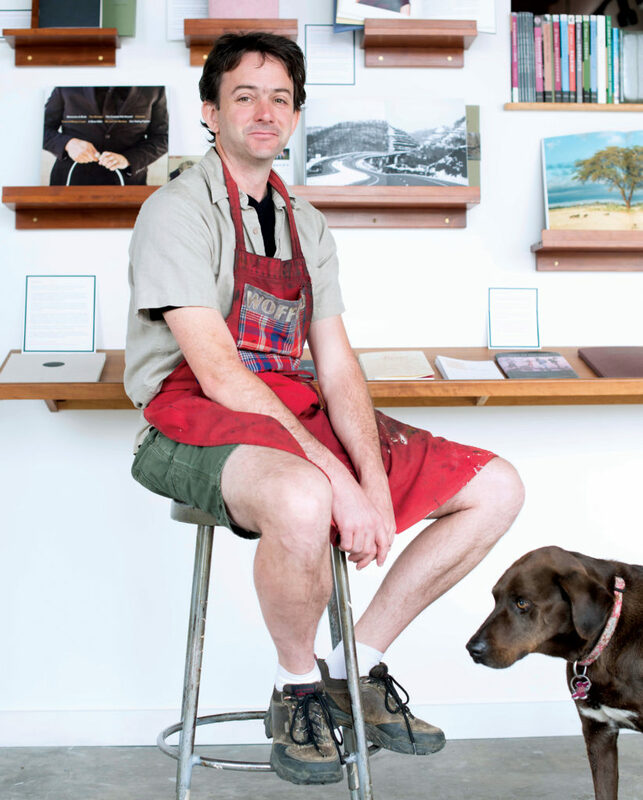 While Almond’s bread and butter comes from cards and invitations, and Allen feels most at home creating art prints, Wofford focuses on books. “A lot of the work that I’m doing is showing how simple and subtle things can be made beautiful through the use of nice paper and hand printing and good design,” Wofford says. And the books he prints are indeed beautiful, featuring special touches like hand-printed covers, custom interiors or, in one case, Confederate battle flags incorporated into the paper in a book of sonnets on race in the South. Wofford calls his creations “beautiful objects,” and it’s undeniable that they look different from typical books. He emphasizes subtleties like the thickness of the paper or the hand-bound spine, the nuances of the craft that make it clear that the book’s creation was a labor of love. 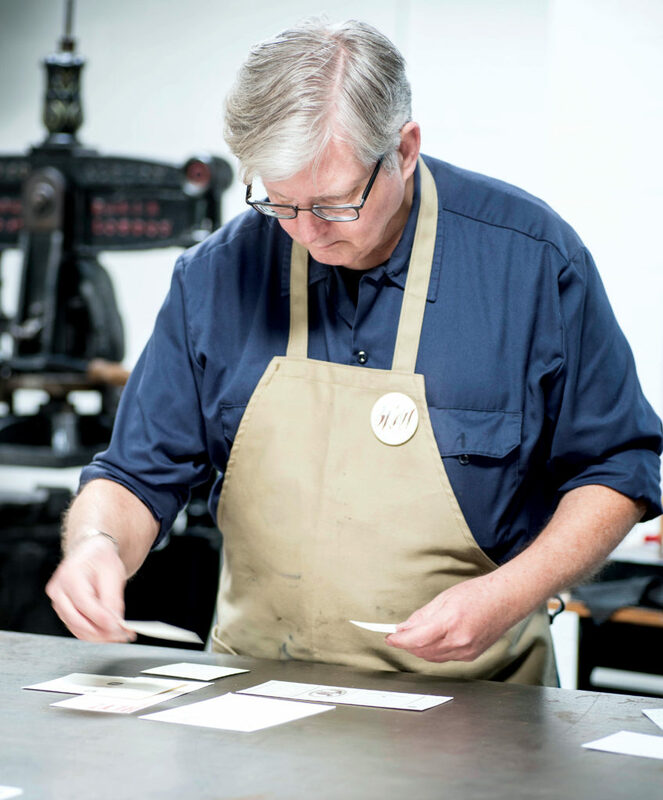 And that’s truly what the magic of letterpress relies on: the efforts that few will notice, the tiny adjustments made to the paper as it moves through the press, the particular stance, the dedication to the craft always every bit as lovely as the outcome.